Some of our readers will remember the Archos G9 Android tablets that were announced last month, there are two different models the Archos 80 G9 and the Archos 101 G9. Both of these new Android tablets will go on sale in September with prices starting at $299.99 for the Archos 80 G9 with 8GB of storage and $369.99 for the Archos 101 G9 with 8GB of storage. 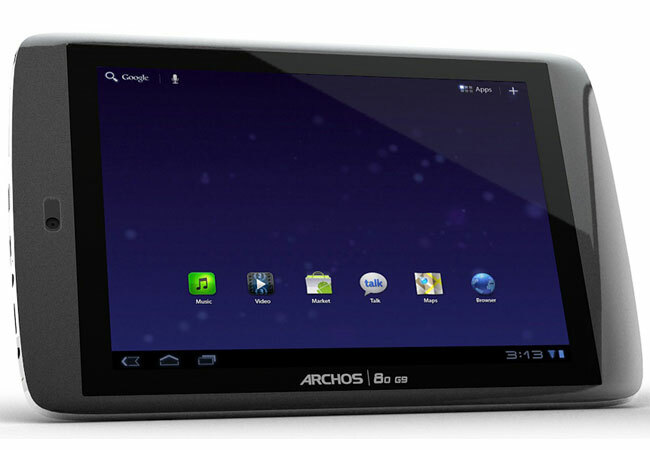 The Archos 80 G9The Archos 80 G9 features an 8 inch display with a resolution of 1024 x 768 pixels, whilst the Archos 101 G9 features a 10.1 inch display with a resolution of 1280 x 800 pixels. Both models come with a full sized USB port, HDMI out with support for full HD video in 1080p, you can find out more information over at Archos.